Summer time is so busy, and right now the garden is going crazy. We have this plum tree we planted 10 years ago and it produces the most amazing plums and it is loaded! The problem, all the plums seem to ripen in about a two week window. So, we have been going bonkers with all these plums! 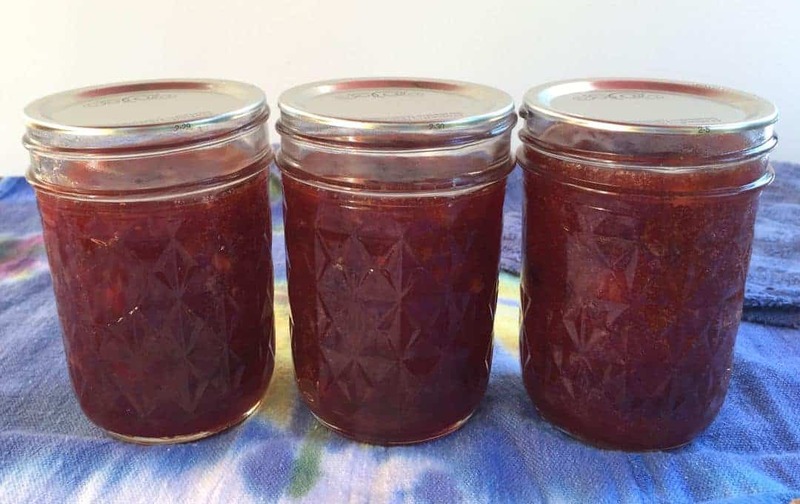 Plum jam…. 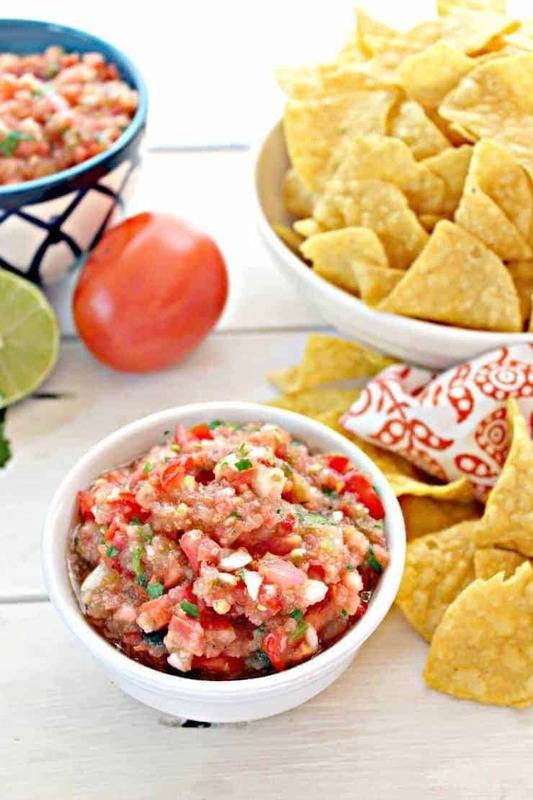 so delicious, easy to make, and can be used all year long! I love making homemade jams and jellies. This is the first time I’ve made plum jam though. I will definitely be making this again. 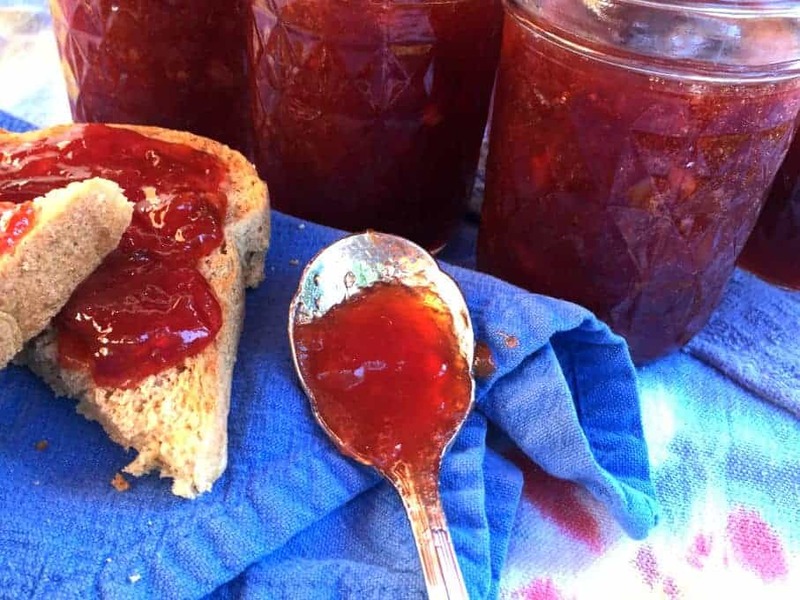 Even if you don’t have a plum tree, you can easily make this jam! I decided to not use packaged pectin in this recipe. 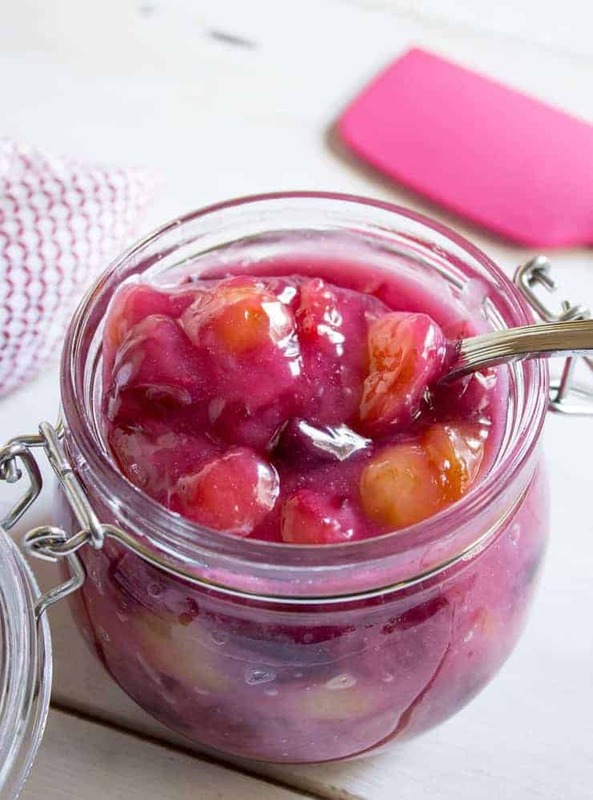 Plums naturally have a lot of pectin and will thicken the jam on its own. When you don’t use a commercial pectin, you can use less sugar, but the cooking time takes longer…quite a bit longer. The process also isn’t as precise as when you use pectin. The jam needs to come to a complete rolling boil. Once this happens, I start using a spoon to test the thickness. Let it cool slightly on the spoon and check to see if it’s thickening. As I said, this isn’t precise. I have under cooked jams and come up with a syrup instead, but even worse is over cooking. It becomes a thick, sticky, unusable mess. Don’t go there! When you get it right though….pure perfection. 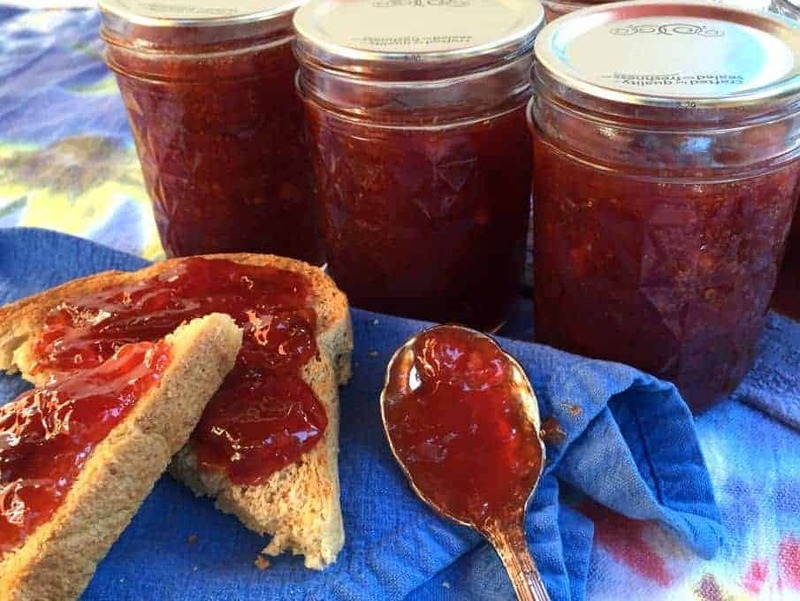 The National Center for Home Food Preservation has a great tutorial on testing jellies without added pectin. After the jam is complete, it does need to be processed in a hot water bath. The amount of time for processing depends on your altitude. You need to adjust hot water times in a recipe based on your elevation. Here’s a great description on how to hot water bath jams. 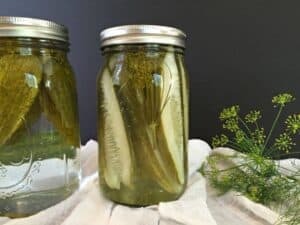 After jars have processed and cooled completely, remove rings and wash jars. This just helps remove any residue on jars. I don’t store my jars with the rings on. If the lids were to become unsealed for some reasons, it is really easy to spot and discard the contents. Once I open the jars, I like to use plastic lids to store in the fridge. 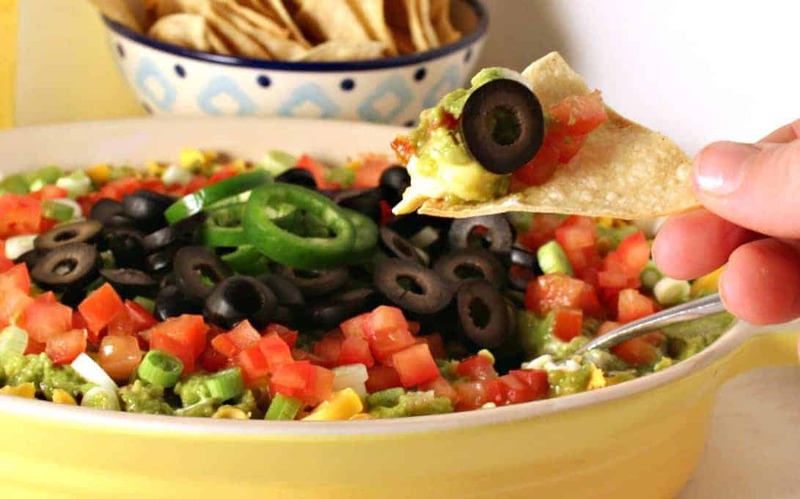 They are super easy and you aren’t fumbling around with a lid and a ring. 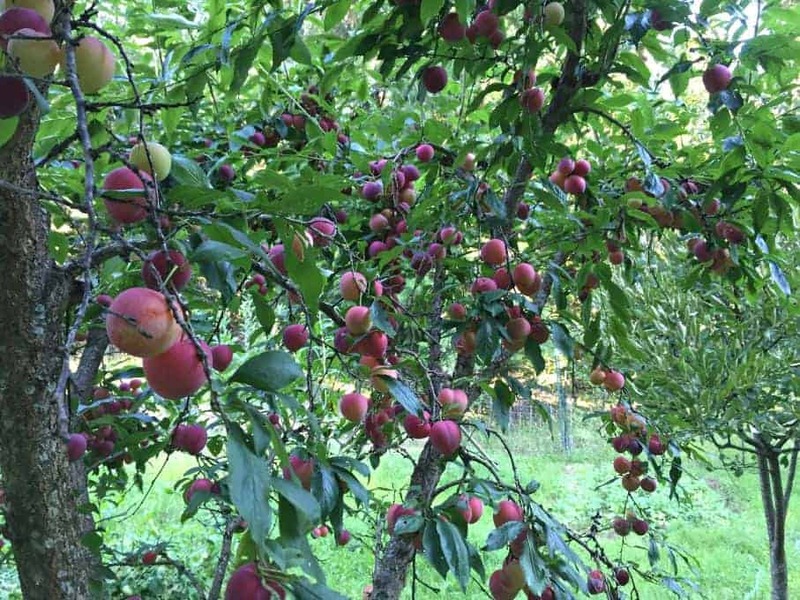 This is just one small section of this amazing tree….lots of plums! I pick and pick and pick and still haven’t made a dent! Anyone need some plums? 6 Cups Plums cut into halves or quarters. Pits removed. Place plums and sugar in a large pot over medium heat. Bring to a boil stirring often so mixture won't scorch. Continue stirring while boiling until mixture begins to gel and thicken. 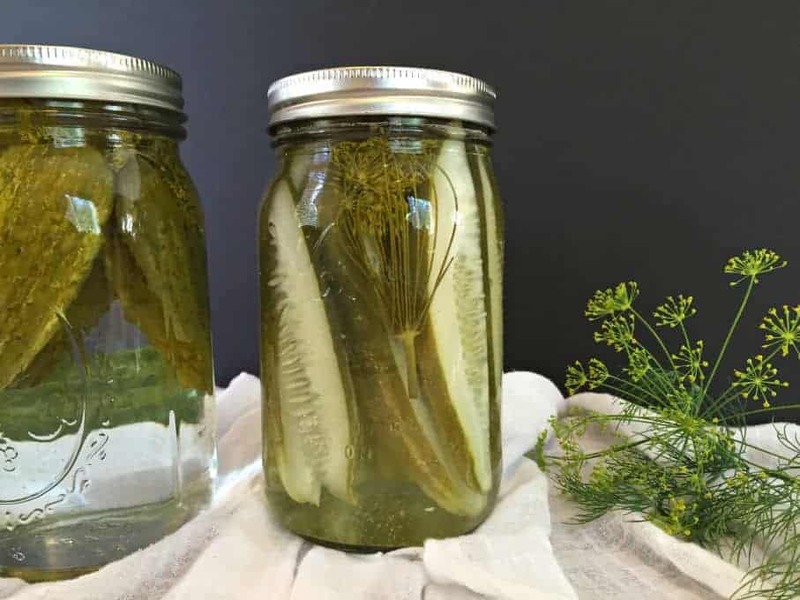 Place in sterilized jars and process in a hot water bath. It will be like bringing a little bit of summer into your kitchen in the middle of winter! Let me know how it turns out! Wow! Look at all those plums! I love being able to pick them right from the yard. Your jam looks so good! That tree was amazing! However, it was hard to use those plums! Oh my gawsh, I have a small obsession with plums, especially this time of year! So feel free to send some of your surplus my way! 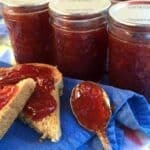 😉 This jam sounds terrific and like a great way to use up your super fresh supply of delicious plums! Cheers and thanks for sharing the Yum! I’ve eaten so many plums lately…Haven’t tired of them yet! Oh my goodness! I am so jealous of your plum tree! Please send some my way! Send me some of that jam too! It looks delicious! Oh my gosh. That tree! I would die to have that tree in our yard!! 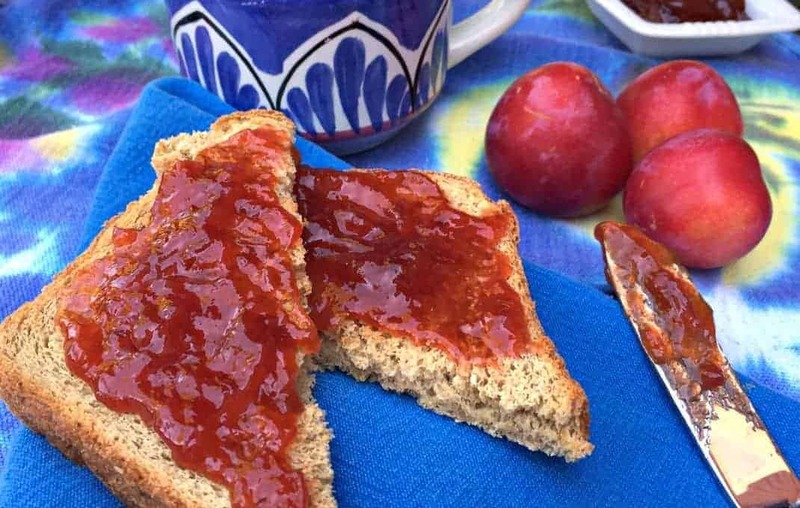 I’m a huge fan of jams, and I definitely need to give plum jam a shot. I’ve never made it, but this version looks incredibly tasty. Thank you!! I just need to keep coming up with ways to use up those plums! Wow! 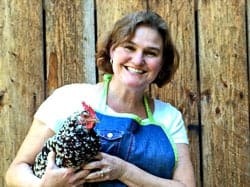 You are eat fresh — that’s AWESOME Kathy! This plum jam looks amazing. The texture ad the color is just so good. It’s a pretty amazingly yummy jam. 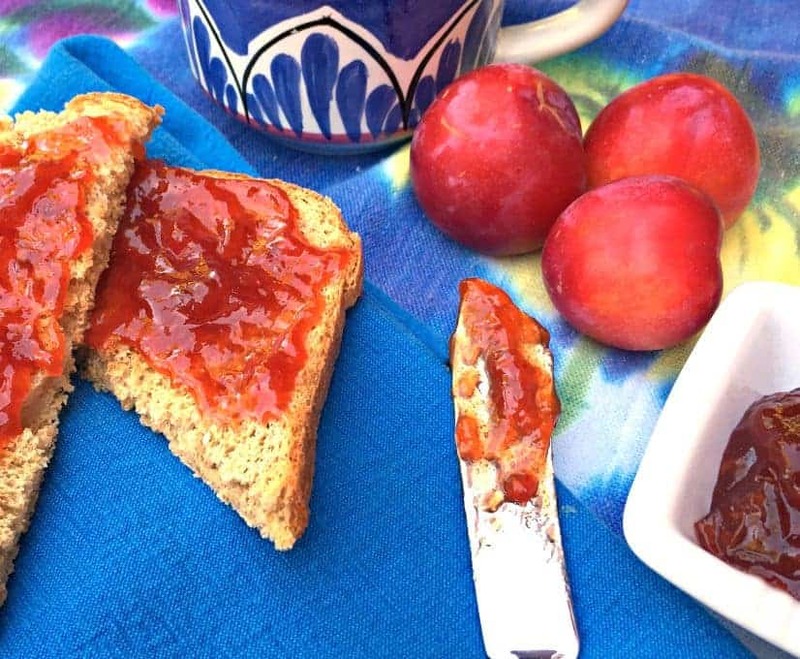 I planted a little plum tree this year – so I’m going to have to save this recipe for when it finally starts producing plums! Hopefully it will grow big fast! I think it would go perfectly with bacon! Hee Hee! oh wow you guys are so lucky to eat all this, fresh from the trees!! I wish I could taste this jam because it looks so good! This looks so good! Love that color, and the photo of the plum tree, I need one of those in my backyard! !